My name is Sagar Sindhi – 23 year old guy with a dreams to achieve something big . Here is more details about me !! Few Months ago, I Came for Interview at Chandigarh and on the basis of my Knowledge and Passion for IT Industry I Selected as Salesforce Trainee at December 2016 and Now I am a Salesforce Developer from July 2017 . I Started Working as Salesforce Developer Just Few Months ago and Trust me , Now I am Living for Salesforce . The Most Important Part that I like in Salesforce is Community #SalesforceOhana . 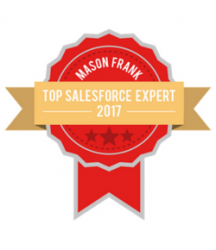 There are Lots of People Working for Salesforce and Every day They faces Different Problems and to Solve those Problems there is one Place Salesforce Developer Community . My Inspiration is My Mother Who always Motivates me to Work hard and Trust on yourself. She is the Real Ideal for me.